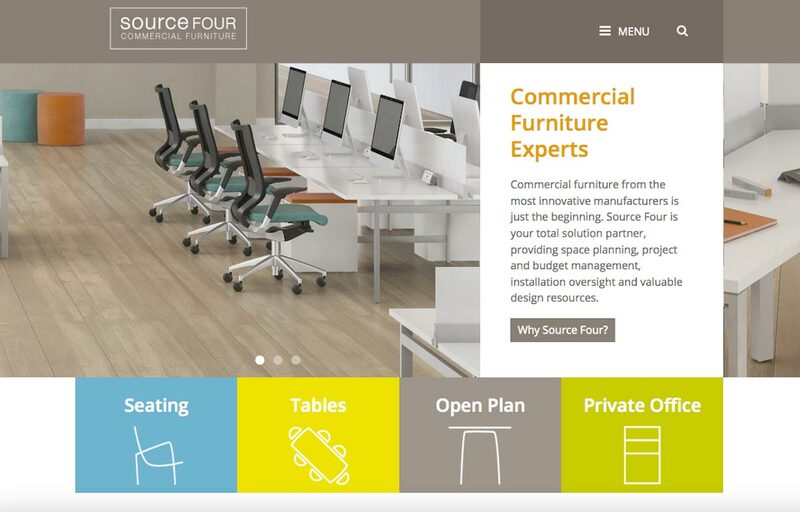 We are thrilled to have won another Gold Communicator Award, this time for the design and development of a new website for our client, Source Four Commercial Furniture of Denver. Source Four represents only the most respected, most innovative commercial furniture lines, providing products to designers, architects and space planners since 1983. The new Source Four website features a refreshed brand and colors. The world of interior design changes quickly and the updated colors were chosen specifically to be more in vogue with current trends. To view the website, click the homepage image below or visit: www.sourcefour.com. This is one of four Communicator Awards won this year by The Creative Alliance. Others included print advertising gold and silver awards for Avjet Corporation, and an online animation video silver award for Coalfire Systems.